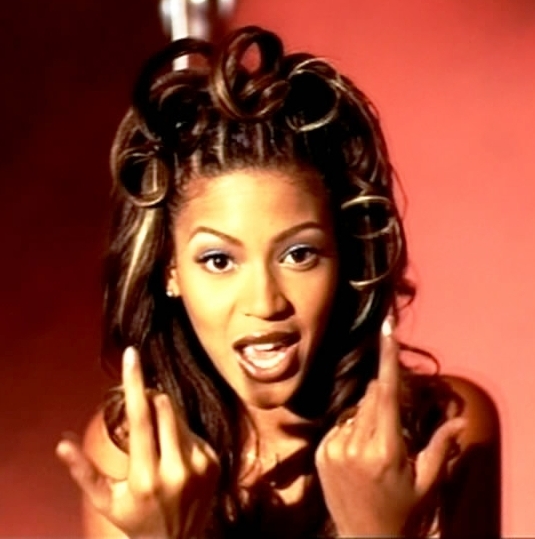 It's time for another hair history, this time it's Beyonce. This has been requested a few times now and looking through the heaps of images it's clear why, Beyonce loves changing her hair. Starting at 16 (!!) 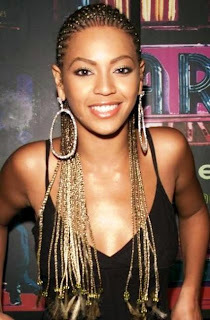 as a member of Destinys Child, Beyonce was clearly the lead singer from the start and from cornrows to waves, and a bit of a Rachel hair cut in the No, no, no video if I'm remember rightly? Colours will brash and bright and I'd imagine a few weaves involved in some styles. 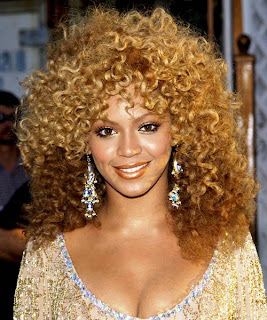 Beyonce has experimented with many colours over the last few years, but always seems to return to the honey Blonde colouring that compliments her skintone and gives her hair great shine. She's lucky to have such a gorgeous face and face shape that her hair pulled back into an up do suits her perfectly and looks amazing on the red carpet. I think having the hair away from the face really shows off her features and when she's had a fringe in the past it can tend to hide them. There are times when Beyonce gets it wrong though, too tight curls and too brash a Blonde and she's left looking rather like a lounge singer in a tacky Vegas club. Both the styles below age her, and along with the heavy make up it's all a bit too much. 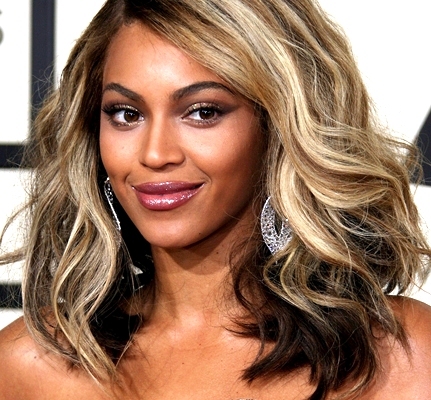 I think my favourite look of all time has to be the long bob, in waves, with different blondes mixing in with Browns. It looks gorgeous, so natural and really suits her face shape. The volume is great and the mix of glamour and casual curls works really well. 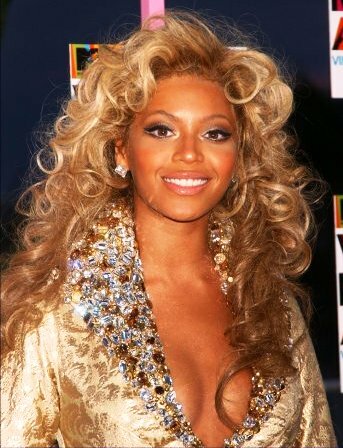 Most recently, Beyonce has been trying out the Blonde bombshell look. I'm not keen, I think it looks dry, and slightly brassy. Not the usual standard from her, what do you think? Let's face it, she's a beautiful women, but like us all she's had her hair disasters. I love the natural loose looking curls, in different honey and caramel shades. What's your favourite hair from the talented one? 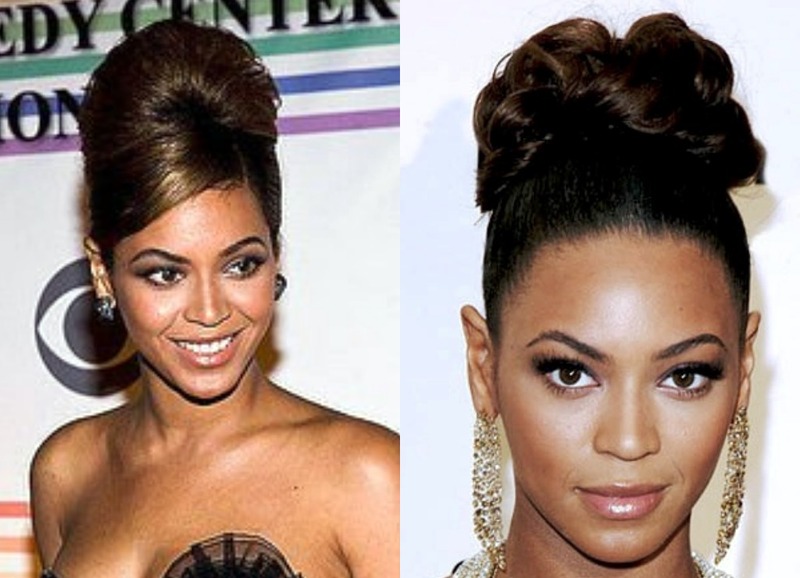 And who's next for hair history? i love beyonce and her everchanging hair! Removed my Aussie badge for the time being, few glitches with it I think. Hope you enjoy reading. 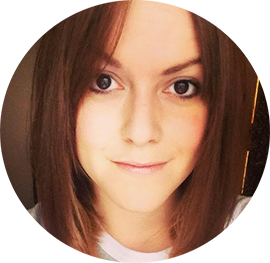 The long bob is definitely my favourite! 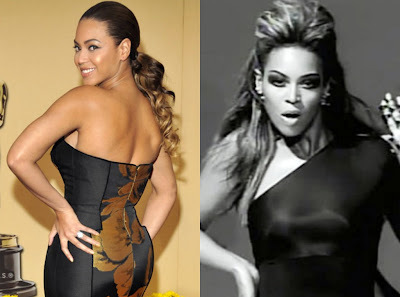 Love this - even though she sometimes gets it wrong, as a general rule I love Beyonce's look. The left-hand of the first two up-do's looks amazing on her. Not at all keen on that last look though - it doesn't look like her at all.